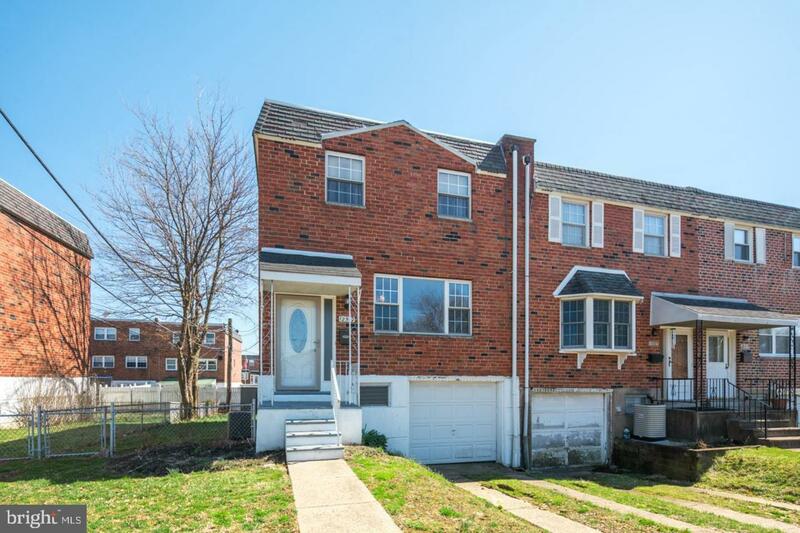 This End Row house has beautiful hardwood flooring throughout the main level. The kitchen and dining room have been opened to create an open floor concept. The kitchen houses stainless steel appliances, granite counter top, ceramic backslash, cherry cabinets and built in microwave; all this makes a beautiful kitchen with plenty of counter space. The master bedroom is spacious and has plenty of closet space. All bedrooms are carpeted and panel doors. The finished basement has a large window in the family room that allows in plenty of sunlight and a nice view of the large yard. This yard is large enough for a pool, deck or trampoline too! The basement also has a half bath and garage for storage or a shop. Newer Heater and Central Air unit has just been completed and ready for the next owners. Make your appointment and fall in love with your new home today! Motivated Seller! !